The art of survival – is it strategy or tactics? You’ve walked in to the office for the first work day of 2018 full of gusto and inspiration from the clarity and perspective you gained over the holiday period. New goals, new ambition, new strategy. This new attitude will give the team the direction they are all needing to be engaged for another year right? Yes…No…Maybe?! More-often-than-not when I go in to a business early in the new year there is a look of anxiousness on the faces of the staff who are wondering what the year ahead will bring. The 5-year plan they work to was out-dated the day it was printed, and management via daily cash-flow has become an operational default for decision making. This uneasiness is often explained when I ask about the plan for the year ahead and get a one word answer – “survival”. Now this isn’t survival in the sense of the reality TV show, where one-by-one they will be voted off an island. Their strategy, as they call it, is one built upon their competencies. They know what they do, they do it well and are hoping that business maintains some consistency so their customers keep returning. But is this a strategy? Not really. This is more of the “how” they do business, developed from a deep understanding of the operating cycles of the company. 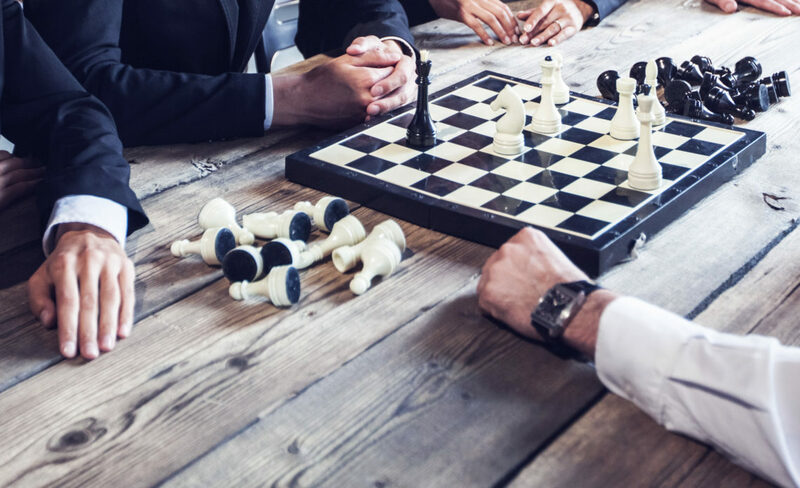 Management may be excellent at planning and implementing ideas, problem solving, monitoring and evaluating plans and ensuring things are running at their optimum efficiency, but this isn’t strategy. This is tactics. Strategy is the what and why of business. It works in a different realm to tactics and is often confused by management. To gain the perspective needed for strategy you often need to put yourself outside of the business, or take the helicopter view. Firstly, the strategic cycle of business starts with intensive scanning for multiple points of information. Catching up with colleagues, listening to staff, making visits, scanning the press, keeping contact with opposite numbers, monitoring of key web-sites and attending conferences and external meetings to ensure you are receiving accurate and up-to-date information. The next stage is to do an intensive analysis. Using proven simplified frameworks such as PESTLE (Political, Economic, Social, Technological, Legal and Environmental) or the important 3 C’s of business (Corporation, Customers, Competition) will bring this information into a usable framework that will enable you to update your vision to a realistic picture of the future. This is about figuring out what we need doing and getting this into a prioritised list so we know what needs to be done by when, and what resources will be required to achieve it. This then translates into a monetary value that can be used to budget for the achievement of the agreed targets. This is about making a making these incremental steps that push us closer to the achievement of the end-goal. These milestones need to be noted, as they should also form part of the culture and engagement piece that can be celebrated and build the enthusiasm of others in the company. As illustrated in the diagram, there is a key element that joins together the strategic cycle (the what) and the Operating Cycle (the how). Too often it can be seen that conflict happens within these two areas and that they are operating in complete separation of each other. Think of a Board showing increased frustration as targets are missed, while the employees can clearly see that the market is not as prosperous as the ambition. 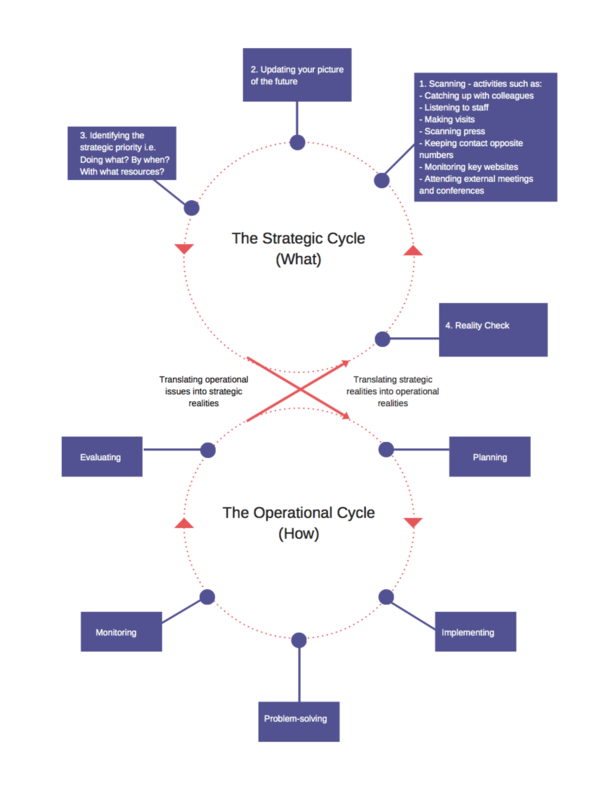 The absence of communication linking the strategic cycle to the operating cycle is often an area that causes break-downs, frustrations, and a lack of trust and understanding between the two levels of business that take ownership of strategy or operations. An essential key to sustainable business, or “survival”, is to ensure that the Strategic Cycles and the Operational Cycles remained linked. Leaders in the business need to be effective in translating the strategic realities in operational realities, and the Managers effective at translating operational issues into strategic realities. The continuous revolution of the operating cycle of planning, implementing, problem-solving, monitoring and evaluating requires this upward thrust of information. Helping people to manage their upward flow of information, as well as having a strategic team brave enough to face realities without fear of failure and being agile enough to make changes to the strategy when required is necessary. My hope is to increase understanding of the differences between the operating cycle and strategic cycles of business and realign peoples understanding of the part they play in their company’s grand plan. By having a clear plan, we can take away the anxiousness that comes with having a business that is susceptible to outside forces, and moves positively towards a future that we can have more control of.